After purchase and download your theme from 96Themes. 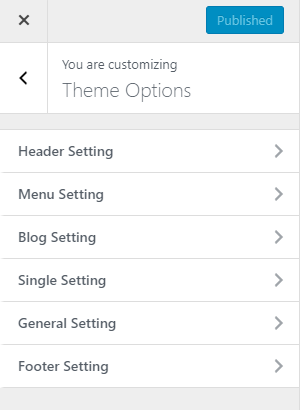 You can choose either of the following steps to install your theme. 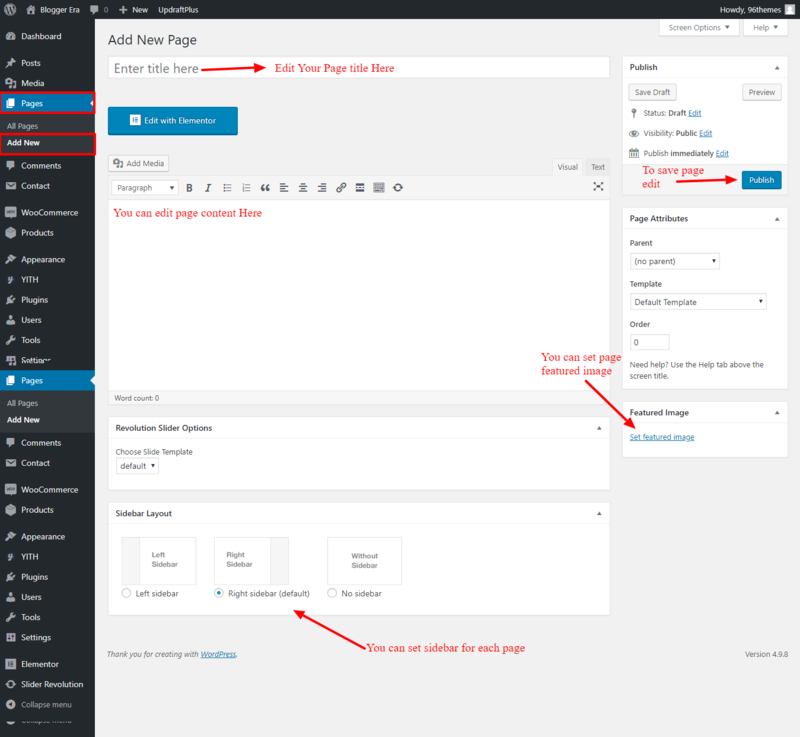 Follow the steps below to get started with your WordPress Theme. Go to Appearance >> Themes >> Add New >> Upload theme. 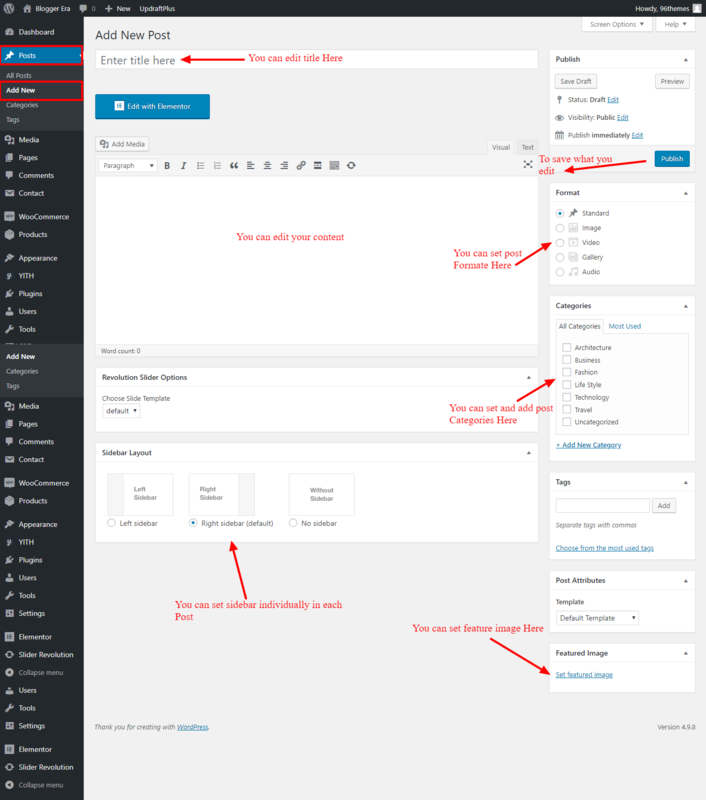 Upload blogger-era-pro.zip and Activate themes. Unzip blogger-era-pro.zip to your Desktop. Using an FTP client to access your host web server, go to /wp-content/themes/ and upload your new copy of blogger era Pro theme. When you click on “Activate” button to activate blogger-era-pro Theme, you will see the a notice offering you to install required and recommended plugins. Navigate Through Appearance >> Import Demo Data. This option help you to define the site-title and logo , fav icon(site icon) for your site and with various options related to site identity and logo. choose Option: Here You will get five different option from where you can choose to display any one of them. Logo Only: By Choosing this option displays the logo only. Logo + Title: By Choosing this option displays the logo and title. Logo + Tagline: By Choosing this option displays the logo and tagline. Title Only: By Choosing this option displays Title only. Title + Tagline: By Choosing this option displays Title and tagline. Logo/Site Title Position: You can set position for logo/site Title according to your choice. Display Site Title and Tagline:This option help you to enables/disables the site title and tagline from the site. Site Icon: Site Icon(fav icon) is used as a browser and app icon for your site.Icon must be square and at least 512 px wide and tall. By creating/editing Post and Page we can change title,feature image categories etc… form your site. Add Title,Content,Feature Image,post formate,sidebar and Categories. Go to All Post,Select title you want to change . Change the Title,Content,Feature Image and Categories. Add Title,Content and Feature Image and sidebar. Go to All Page,Select title you want to change. Go to Appearance >> Customize >> Theme Options. Site Branding Height: This option help you to customize site branding height in your website. Upload Header Image: This option help you to upload header background image as your choice in your website. 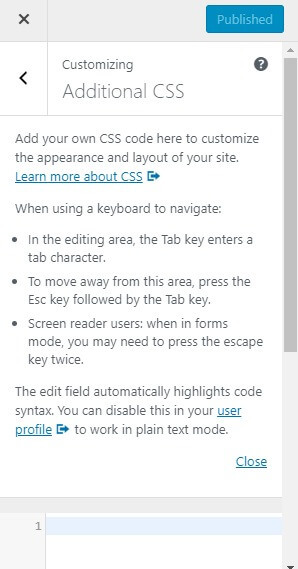 Enable Top Header Section: This option help you to enable/disable top header section in your website. Text Transform: This option help you to edit text transform in header part of your website. Top Header Height: This option help you to customize top header height in your website. 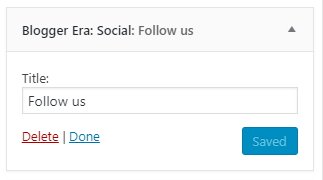 LEFT PART HEADER: This option help you to select left part option in your website (like: top menu,address,current date,social link..). 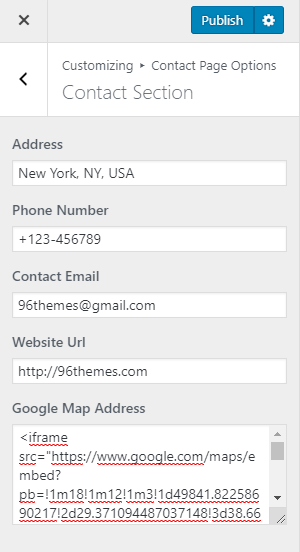 RIGHT PART HEADER: This option help you to select right part option in your website (like: top menu,address,current date,social link..). HEADER ADDRESS: This option help you to edit your header address according to your choice. 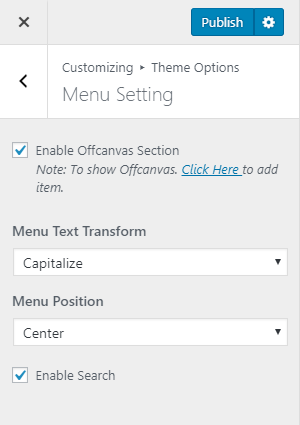 Enable Off canvas Section: This option help you to enable/disable off canvas section in your menu part. Menu Text Transform: This option help you to choose text transform(like lowercase,uppercase,capitalize….) 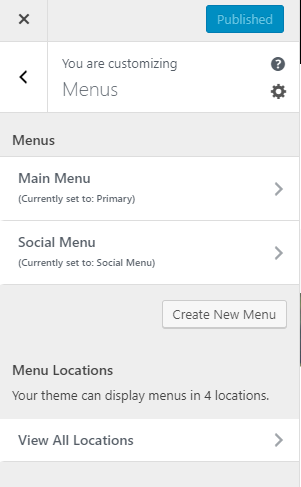 of menu in your website main menu. Menu Position: This option help you to select the menu position like left,right,center align in your website. Enable Search: This option help you to enable/disable search section in menu part of your website. Choose Options: This option allow you to select blog design layout in your website(like caption overlay,full width,grid,list layout….. ). Choose Options: This option allow you to select Excerpt(limited word) or full content in your blog post.you can choose excerpt if you want to show less content in blog post otherwise you can choose full content. Excerpt Length: This option help you to set length of excerpt in your blog post. 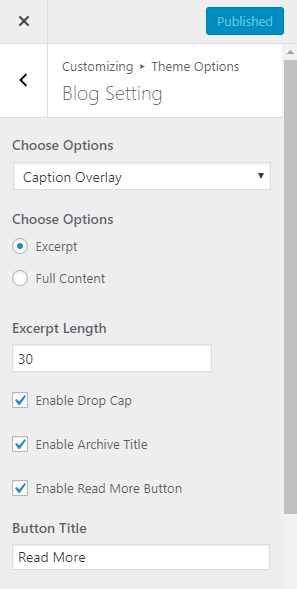 Enable Drop Cap: This option help you to enable/disable Drop cap option. Enable Archive Title: This option help you to enable/disable Archive Title in your website. Enable Read More Button: This option help you to enable/disable read more button. Button Title:This option help you to edit button title or text in your website. Pagination Options: This option help you to select pagination option.you can choose either numeric or default in your website.default in website,default pagination is selected. Text Align Position: This option allow you to select align(left,right,center) for title,category,date..etc in your single page/post. 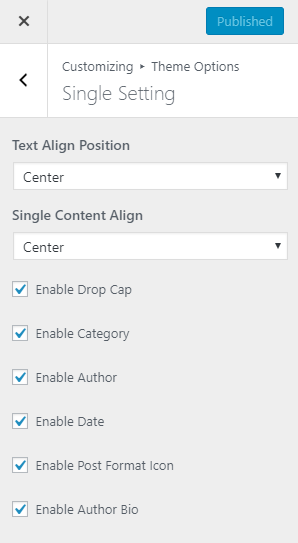 Single Content Align:This option allow you to select align(left,right,center) for content in your single page/post. Enable Drop Cap:This option help you to enable/disable Drop cap in single post/page. Enable Author: This option help you to enable/disable Author info in single page/post. Enable Date:This option help you to enable/disable Date in single post/page. 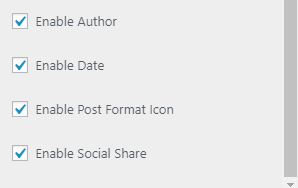 Enable Post Format Icon:This option help you to enable/disable post format icon in single page/post. Enable Author Bio:This option help you to enable/disable author bio in single page /post. Content Area Width: This option allow you to set content area width according to your choose in your website. Choose Option: This option allow you to select either full width layout or box layout in your website. Choose Option: This option help you to select right,left,no sidebar in your website according to your choice. 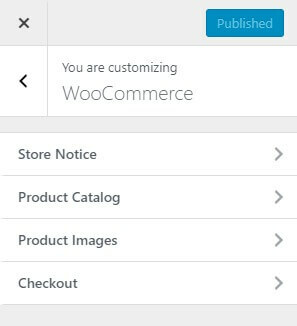 Choose Shop Page Sidebar: This option help you to select sidebar in shop page when woo-commerce is active. 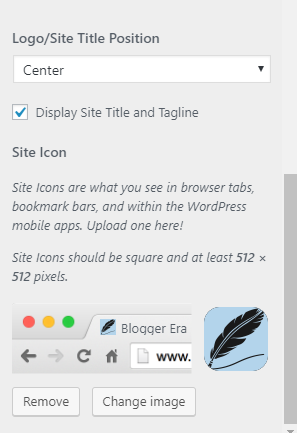 Enable Sticky Sidebar:This option help you to enable/disable sticky sidebar in your website. Enable Category:This option help you to enable/disable category in your website. Enable Author:This option help you to enable/disable Author in your website. Enable Date:This option help you to enable/disable Date in your website. Enable Post Format Icon:This option help you to enable/disable Post format icon in your website. Enable Social Share: This option help you to enable/disable Social share in your website. Enable Footer Menu: This option help you to enable/disable Footer menu. 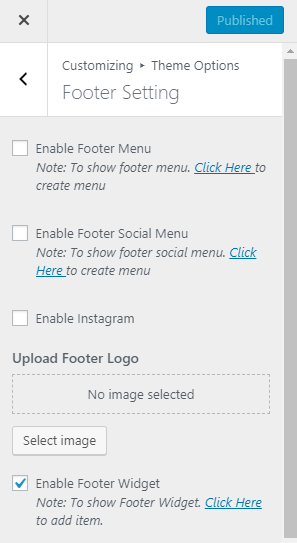 Enable Footer Social Menu: This option help you to enable/disable footer social menu. Enable Instagram: This option help you to enable/disable Instagram section on footer. Upload Footer Logo:This option help you to upload footer logo. Enable Footer Widget: This option help you to enable/disable footer widget. Go to Customize >> Home Page Options. Here you will get different options and Setting as shown in screenshot. 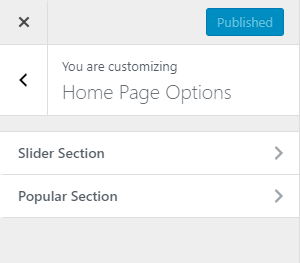 Enable Slider Section:This option allow you to enable/disable slider section in your website. 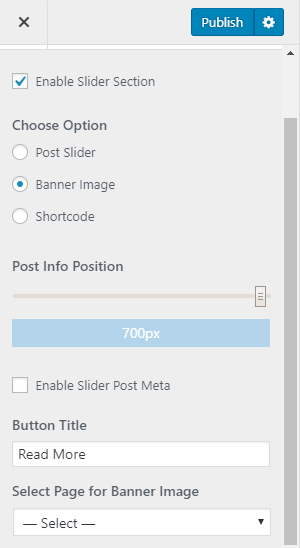 Choose Option: This option allow you to select 3 option either Post Slider or Banner Image or Shortcode. Selecting those you will get different different option. Post Slider: After selecting Post slider option we will get following option. Select Category:This option help you to select category for post slider in your website. No of Slider:This option help you to select No. of post slider in your website. 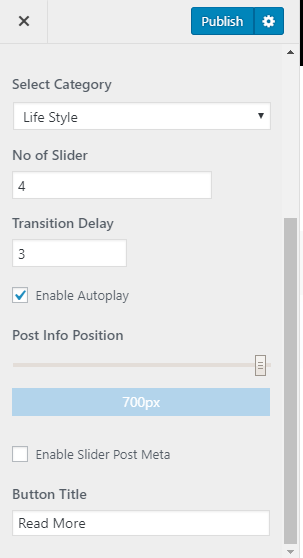 Transition Delay:This option help you to select transition delay time of post slider in your website. Enable Auto play: This option help you to enable/disable auto play for post slider in your website. Post Info Position:This option help you to set post info position for post slider in your website. Enable Slider Post Meta:This option help you to enable/disable slider post meta for post slider in your website. Button Title:This option help you to edit button title in post slider. 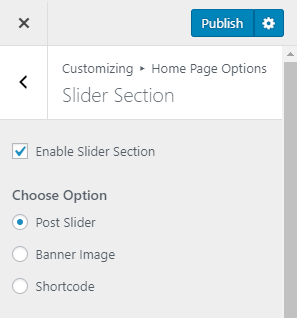 Banner Image: You can also set banner image in slider section. After selecting Banner image you will see following option. Select Page for Banner Image: This option help you to select page for Banner image in your website. Shortcode: You can set either set your won slider like layer slider ,revolution slider..etc. After selecting Shortcode you will see following option. 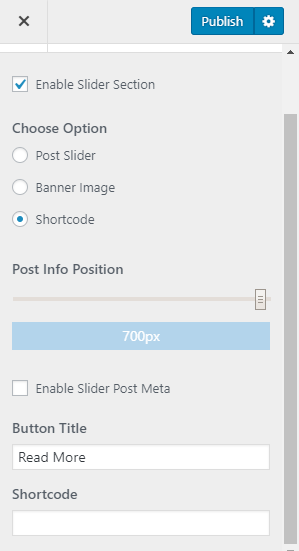 Shortcode: This option help you to paste your slider short code on here. 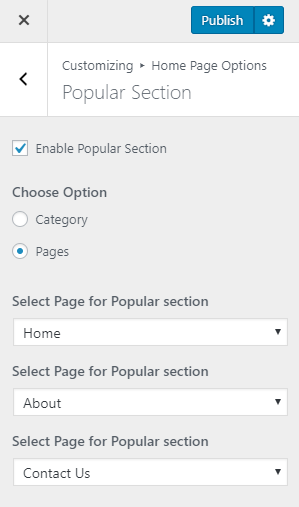 Enable Popular Section:This option help you to enable/disable popular section. Choose Option: This option allow you to select either Category or Pages for the popular section and according to selection different option also come. Category: After Selecting Category you will see following option. Select Category: This option allow you to select category for popular section. Pages: After Selecting Pages you will see following option. 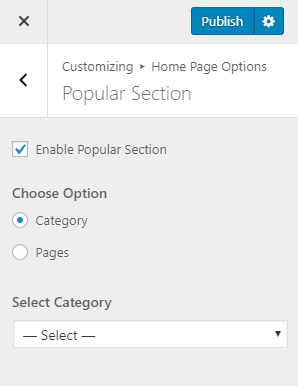 Select Page for Popular section: This option allow you to select individual page for popular section. Similarly,we can select individual page for 2nd and 3rd popular page. Go to Customize >> Contact Page Options. Here you will get different options and Setting as shown in screenshot. Go to Customize >> Contact Page Options >> Contact Section. 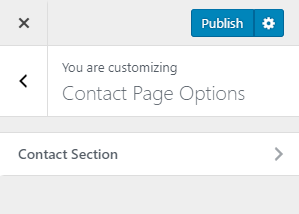 From this section we can create contact template for that we have to set following options. Address:This option allow you to set Address in contact template. Phone Number:This option allow you to set phone number in contact template. Contact Email:This option allow you to set Email in contact template. Website Url:This option allow you to set website url in contact template. Google Map Address:This option allow you to set google map iframe in contact template. 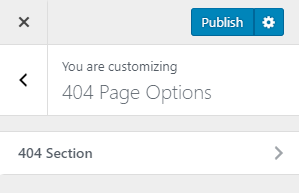 Go to Customize >> 404 Page Options. Here you will get different options and Setting as shown in screenshot. Go to Customize >> 404 Page Options >> 404 Section. From this section we can create 404 page. Upload Image:This option help you to upload image in 404 page. Enable Content:This option help you to enable/disable content in 404 page. Button Title:This option help you to edit button title in 404 page. Button Url: This option help you to set button url in 404 page. Enable Previous Button: This option help you to enable/disable previous button. Go to Customize >> Advance Color Options. Here you will get different options and Setting as shown in screenshot. Go to Customize >> Advance Color Options >> Header Color Setting. This section allow you to set each and every color of header part like Top Header Background Color,Top Header Color,Middle Header Background Color,Menu Background Color,Menu Color,Menu Icon Color,Menu Hover Background Color ….etc. 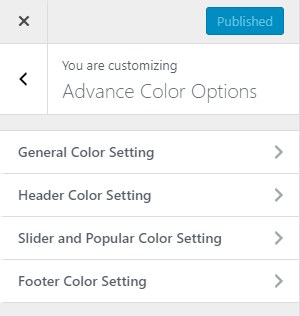 Go to Customize >> Advance Color Options >> Slider and Popular Color Setting. 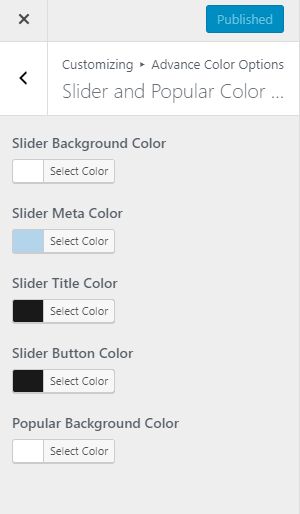 This section allow you to select slider and popular color in your website according to your choice.like Slider Background Color,Slider Meta Color,Slider Title Color,Slider Button Color and Popular Background Color. Go to Customize >> Advance Color Options >> Footer Color Setting. 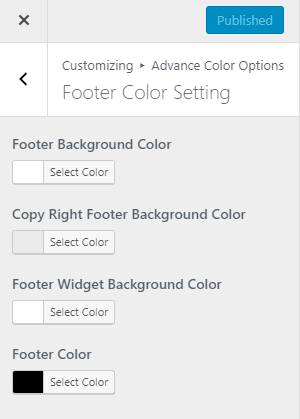 This section allow you to select footer color like Footer Background Color,Copy Right Footer Background Color , Footer Widget Background Color and Footer Color. 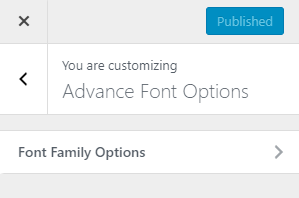 Go to Customize >> Advance Font Options. Here you will get different options and Setting as shown in screenshot. 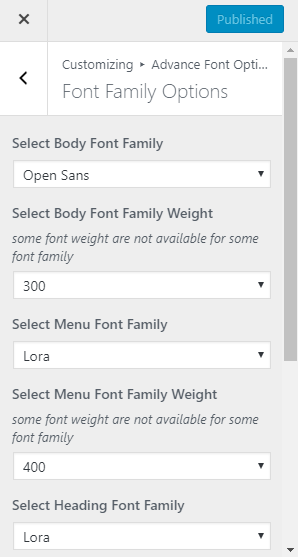 Go to Customize >> Advance Font Options >> Font Family Options. 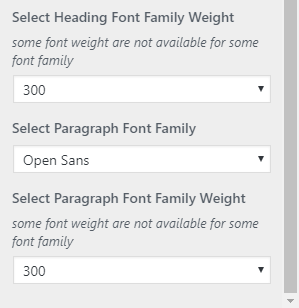 This section allow you to select font family and font-weight…etc.of your website. Widgets are one of the most important aspects of this theme.Five special widgets are specially built for the front page so that most of your content can be categorized easily and be accommodated to feature in the front page. Blogger Era: About Me :- We will find options and settings in this widget. Now setup the widget according to our need. See the below image. Blogger Era: Facebook Like:-We will find options and settings in this widget. Now setup the widget according to our need. See the below image. 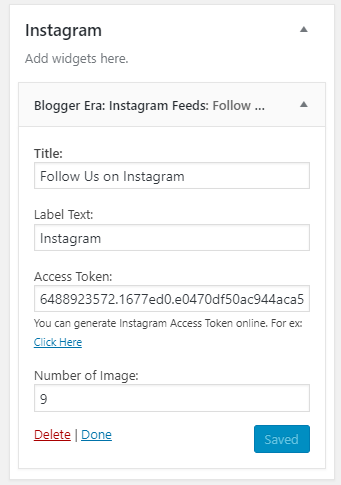 Blogger Era: Instagram Feeds:-We will find options and settings in this widget. Now setup the widget according to our need. See the below image. Blogger Era: Latest Blog:- We will find options and settings in this widget. Now setup the widget according to our need. See the below image. Blogger Era: Social:-We will find options and settings in this widget. Now setup the widget according to our need. See the below image. Go to Appearance > Customize > color. 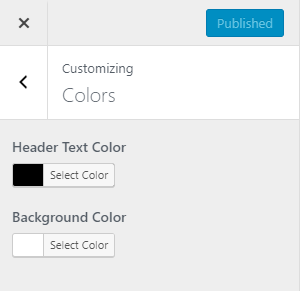 where you can see Header Text Color & Background Color Options sections. Header Text Color: Choose the color available in the options. If the preview is fine, click on Publish to apply recently selected Header Text Color. 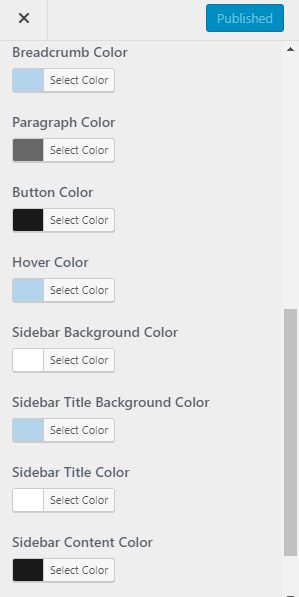 Background Color: Choose the color available in the options. If the preview is fine, click on Publish to apply recently selected Background Color. Go to Appearance > Customize > Header Image. From where you can change the Header Image for your site. 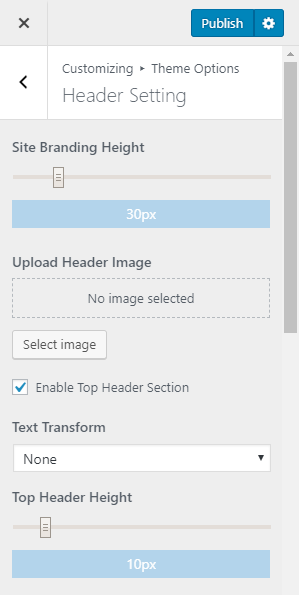 Select the header image of your choice.If the preview is fine, click on Publish to apply the recently selected image as the Header image.Here you get other option related to header image. 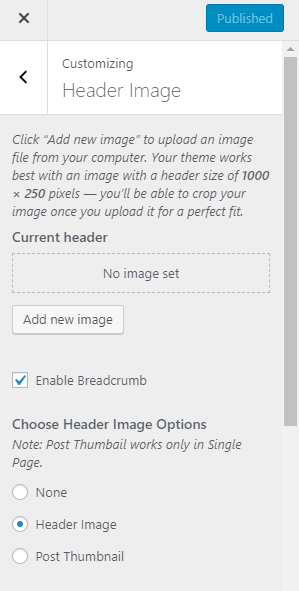 Enable Breadcrumb: This option allow you to enable/disable breadcrumb. 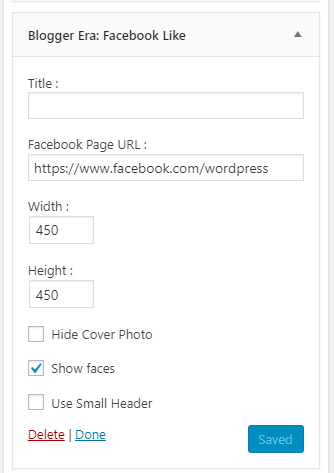 Choose Header Image Options: This section allow you to set header image in single post/page. None:If you did not want to set header image,you can select this option. Header Image: If you want to set header image as header image ,you can select this option. Post Thumbnail:If you want to set post thumbnail as header image,you can select this option.but it work only in Single Post. 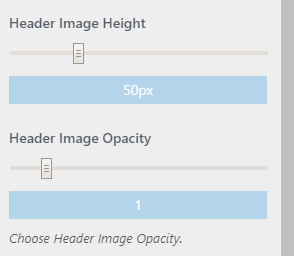 Header Image Height: This section allow you to set header image height. Header Image Opacity: This section allow you to set header image opacity.